I just graduated art school, what do I do?! Hi, I’m Serena Malyon, a freelance illustrator from Alberta, Canada. During my art education (which was excellent, thank you ACAD), I got the skills to create compelling illustrations and work with clients. But immediately after I graduated, a panic spread over me. How do you get clients? How do I run this business? What do I do now that I’m not in school?! I didn’t know where to start. This is a collection of things that I’ve had to teach myself in the 3 years since graduation, and the things that I’d still like to learn. Disclaimer: This post is not a criticism on the art school that I attended. ACAD is an excellent school with a lot of great instructors. They taught us the basics of self promotion and contracts, but I still felt a little lost when I graduated. I have since spoken to many illustrators in the field, and they have all given me the same feedback about their art education: art school doesn’t really teach business. However, I do think that this should be taught, as the business side of things is the biggest hurdle that faces new illustrators. Second disclaimer: I’ve worked in both editorial and publishing illustration, but I’m more knowledgeable about the latter. If you’re pursuing a career thats more about editorial or advertising illustration, you might have questions that aren’t addressed here. I just graduated, what do I do? 1. Give yourself a reality check. Illustration is a difficult career to get into, so prepare yourself for rejection. Understand that when art directors don’t respond to your work, its not personal, it just doesn’t fit what they’re doing right now. You probably won’t make a solid income from illustration for a few years; that’s to be expected. Its tough and a lot of people give up, but if you stick at it you can be a success. Make art, self-promote, stay positive, and be patient. 2. Make sure you have a solid portfolio. Get rid of any art in your portfolio that you don’t like, or that you feel could be better. I know you just spent the last year making it, but really assess which pieces look professional. Now that you’re out of school, you have a lot of time to create the best art you can make. For the time being, a small but strong portfolio is better than a large but weak one. 3. Decide where you want your career to go. Editorial is fast and conceptual, publishing is narrative and slow… and I have no idea what working in advertising is like. Look at other art in your field, you want to have a style that fits your industry. Eg: if you want to illustrate Magic: The Gathering cards, you may not have much luck with an abstract portfolio. If you want to work for the New York Times, maybe don’t submit your high-fantasy work. 4. Pick a style, or a few. Make sure you’re doing what you like to do, and make sure you do it really well. If you have a few styles in your portfolio, just make sure you have multiple examples of each. The more polished your style, the better! I’ve got the art, now what? 1. Go to your local bookstore. Find books with covers like yours, or find magazines that use interior illustrations. Write down every publisher you find that might conceivably hire you based on your style. For magazines, write down who the art director / creative director is, this is often near the beginning of the publication. 2. You now have a list of hundreds of publishers. Look them all up online. 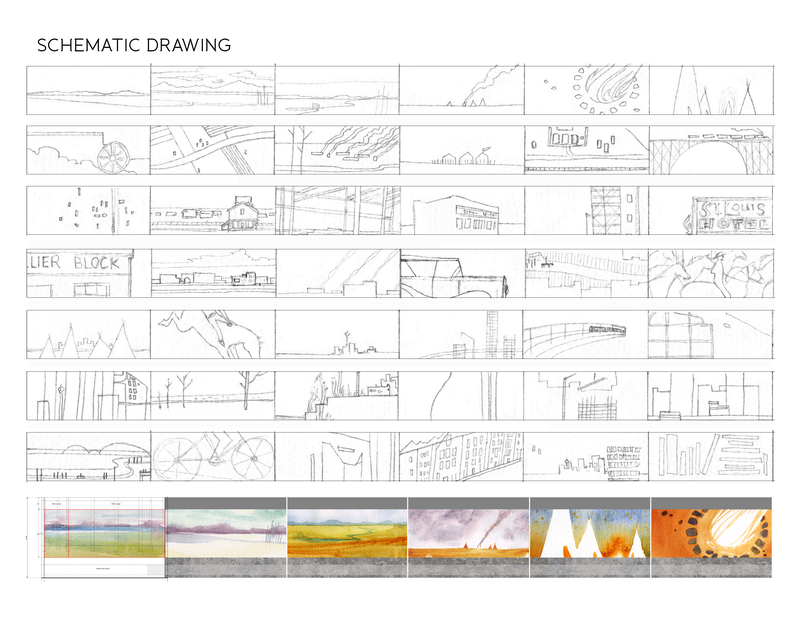 You’re looking for specific information related to “illustration submissions”. This is often its own section of the website, on the FAQ page, or in their contact information. Some will have clear instructions like who to send your work to, in what format, what the illustrations should contain, etc. Most often, though, you don’t find any information about submissions at all. If this happens, just send a postcard to the “Art Director” of the company. -Do not send work to a publisher that has specifically said they are not accepting “illustration submissions” or “unsolicited materials”. -If you live in Canada, adhere to the anti-spam legislation! Just because an art director has their email on a website does not mean that they consent to you sending unsolicited materials. Make sure that the art director or the publisher has made it clear that you can send emails. If you don’t find their consent online, just send a postcard. More on that later in this post. 3. Gather their information. Obviously, write down the publishers address, the art director or creative director’s name (if you can find it), write down what sort of work they hire (childrens book, young adult, fantasy etc), and any specific instructions they have left on their website. – I go over my list every time I send out promos to make sure that the art director and the company contact information is the same. 4. Make a database to stay organized. Now that you have your list, get a spreadsheet program like Excel and make a table kinda like this. I used this tutorial, because I haven’t used Excel in like 10 years. This is going to be where you keep track of what you’re sending and to whom. Keep track of each publishers info: whether they accept emails or postcards, what style they use, how many art directors they have, whether there are any special requirements, etc. This is really handy if you are mailing multiple samples with different styles. 5. Print. Finally when you have everything organized, print some postcards and send them. Printing often costs about $1 a postcard, mailing is often an additional $1 or more. I often spend about $400 on each mailing campaign. Use envelopes if you don’t want the ink to smudge slightly from shipping. 6. For emails, write a cover letter. A short, professional introduction with all of your contact information. Try to personalize the text to the company you’re sending it to, and don’t send mass-emails. Note: you don’t need to add that you’re just graduating, save that for your resume. Attach your images unless they state otherwise! Images imbedded in the text may trigger the spam filter! Always send low-res images that have your contact information on them, like below. Do this every 3-4 months with new work. Links: Everything you need to know about contacting art directors, courtesy of Drawn + Drafted. I haven’t gotten any responses! How do I get noticed? My first mailing campaign (with only my school portfolio), got no responses whatsoever. This, unfortunately, is normal. I rarely get responses from emails, and I’ve only once gotten a response from an art director I sent a postcard to. Art directors receive tons of submissions every day and don’t have the time to respond to every artist. Promos are only one way to get noticed, here are some effective ways to boost your art exposure. 1. Social Media. Yes, the big bad buzzword. I currently have a WordPress blog, Tumblr, a portfolio website, a Deviantart page, a Facebook page (my personal one), LinkedIn, Twitter, and a neglected Pinterest and Behance. I’m also on Society6. Don’t spread yourself too thin, but make sure that people can follow your work easily. When you make new art, post it. The bigger web-presence you have, the better, especially if you have a common name. –Remember: You’re your own brand. Don’t get caught on the wrong side of controversy or behave unprofessionally. -Creating a Facebook “page” for your work can be useful if you want to keep your personal and professional Facebooks separate. This is great for gaining followers, but beware: facebook will only broadcast your posts to a portion of your followers unless you pay for more exposure. 2. Networking. Yes, its part of social media, but its a bit more than that. The best thing I have ever done for my career was go to Spectrum Fantastic Art Live in 2014. Its a sci-fi/fantasy art convention full of artists and a few influential art directors. Meeting people face to face and getting critiques from them is the best way to get your work known. Hand out your business card and make a good impression. I cannot emphasize enough the importance of meeting other artists and art directors. –Illuxcon, Dragoncon, Spectrum Fantastic Art Live, comic cons, workshops and the Illustration Master Class are all valuable networking tools, at least in book illustration. Go out and meet people. -Social media and networking go hand-in-hand. Go out and meet people, but also add them on your Facebook or twitter. Facebook is great because its so easy to share work and have discussions. I currently get more exposure from Facebook than I do from my blog or twitter. 3. Annuals and illustration magazines. Annuals look great on a resume and get your work out there. However, I’ve never gotten a job because of these. I’m sure it happens, but don’t pin your career hopes on getting into Spectrum. You’ll go further if you network. Illustration magazines are new to me, but I imagine it really helps get your name into the art community more. -The only way you know your work wont get in is if you don’t apply. -Magazines: Juxtapoz, Imagine FX, many others that I can’t think of right now. 4. Think about getting an agent. If you’re not effective at the business side of things, apply to different agencies that work in your illustration field. They’ll do the legwork with promotion, and you get to work with people who can help guide the direction of your career. Have a cover letter explain who you are, what your accomplishments are, who your clients are and send a few samples of your work. As with art directors, they wont get back to you if they’re not interested, but keep trying. -Be selective about the agencies you apply to! Find agencies that represent artists that are in the field you want to work in (editorial, publishing, advertising, etc). Make sure their artists are actually working; many agencies now have a blog, so you can see how much work their artists are getting. -30% is the usual percentage that illustration agents get, but in exchange they often negotiate higher rates for your work. -Before you sign with an agency, ask one or two of their artists if they’ve enjoyed working with them and if they’ve seen an increase in work. You’re self-promoting but you’re still not making money. 1. Public Art. As an illustrator, you are perfectly equipped to do public art. You know how to follow instructions, talk about your work, put together a rough draft that communicates your idea well, and work with clients. There are a lot of public art initiatives in Canada, in Alberta especially. Check for Calls for Proposals frequently, as they often have short deadlines (often 2-3 weeks). -What to include in a proposal: Title page, introduction to yourself, why you’re interested in the project, your concept, the medium used and how you plan on implementing it, rough sketch, proposed timeline, budget/expenses, resume, letters of recommendation, samples of your other (relevant) work. -Here is a sample of the level of finish you should provide. Here is the rough sketch I provided for my Calgary Public Library proposal. You don’t need to give a finished illustration in your proposal, but make sure its at least a rough sketch — it communicates your style and idea, but leaves room for change. Photoshopping your images into a picture of the proposed site can help your clients understand the scale and appearance of the piece. -Some projects require a lot of research. Be prepared to look into things like labour, insurance, heavy machinery rental, material costs, printing costs, etc. Be prepared for complex questions in the interview process, give them faith that you can accomplish the project you’re pitching. -Pay for a good print. Stapled-together low quality prints are not going to impress anyone. You would be surprised how far good presentation can go, it shows how serious you are about the project at hand. -The City of Calgary often hosts seminars on applying for public art calls. I have not attended any, but it sounds like a great resource. 2. Galleries/fine art. I know nothing about this area at this point. I don’t know how to get a gallery show or an art rep. Many illustrators have bridged the fine art/illustration gap, such as Donato, Eric Fortune and Rebecca Guay, and it seems like a great way to build a lifelong career. -Gallery shows are essential if you want to apply for Canadian government grants. You need 3 public showings and 3 years of professional experience to be eligible for almost any grant. 3. Apply for grants. As I just stated, unless you have gallery experience and 3 years of professional practise under your belt, you probably cant do anything. But if you meet the requirements, take advantage of the money that the government sets aside. Grants for travel, continued education, special projects and more are all available. -Tips on applying for grants are available on the AFA website. 1. Quotes. Many companies will ask for a quote of how much you charge for the work at hand. Break down your cost estimate clearly, especially if you work hourly. Make sure you include in your contract that the quote you provided is subject to change if need be. Make a quote template in InDesign or similar and plug in the new information each time, detailing who the client is and what project you’re working on. Mine looks like my invoice, below. 2. Contracts. Most art schools do discuss contracts, but I thought I’d add a few resources for you. Much of my standard contract is influenced by others. See links below for examples of contracts. 3. Invoice. When you’re done the project, send the client a final invoice. If they don’t ask for one, or have already paid you, still make one for your own record keeping. These are very helpful around tax time and can save you a lot of headaches. 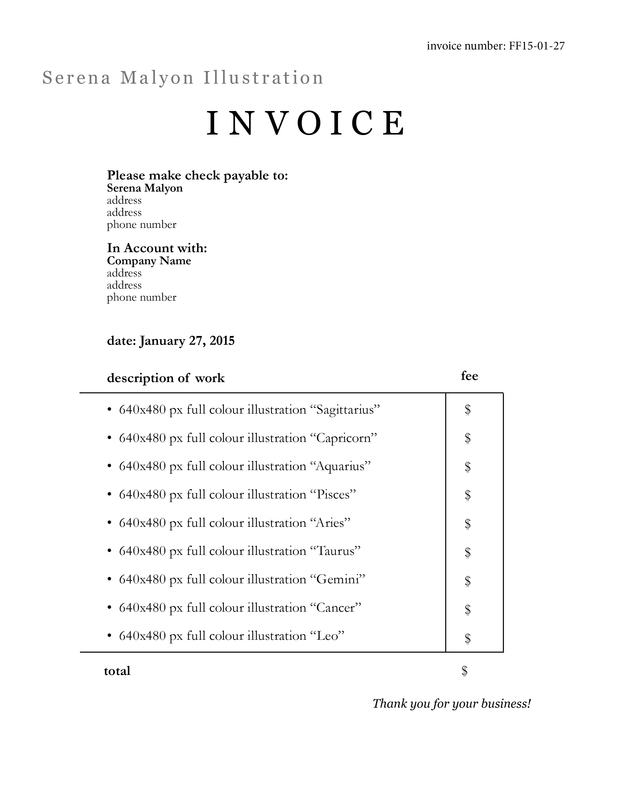 This is what my invoice .pdf looks like. Detail everything they paid for, especially if you are charging for materials. 1. Taxes. Prepare to spend a lot in taxes, as you have to contribute to various funds each year. Consider getting a professional to handle them so you don’t get overwhelmed. 2. Canada’s anti-spam legislation. Its my understanding that you cannot send unsolicited business emails to people anymore, regardless of where in the world they live. Either start a mailing list where people can sign up (and offer an unsubscribe option), or simply make sure they have consented verbally or in writing before you send them emails about your business. So just because you found an art director’s email doesn’t mean you can use it. Review the law for yourself here. 3. GST #. Well, I haven’t gotten to this point in my career yet, but you might want to think about getting a GST # for your illustration business if you live in Canada. You are required to do this once you reach $30,000 a year in self-employed income. 1. The Graphic Artist’s Guild Handbook of Pricing and Ethical Guidelines. Its an extremely valuable book. It gives you a detailed look into various illustration industries and gives you what the standard industry rates are. It also has a sample contract at the back (which is excellent), and explains important terms like “residual rights”. 2. Drawn + Drafted. Created for artists by two art directors, Lauren Panepinto and Marc Scheff, D+D gives essential tips about illustration. Print these out and keep them handy! 3. Making It. A documentary that follows 4 illustrator friends who have all achieved some measure of success in their field. It talks about what “success” really is in illustration. Inspiring and slightly depressing, its a real look at the industry. Well worth a watch to prepare you for your road ahead. 4. Escape from Illustration Island. The best podcast out there for learning what art directors want. They’ve been off the air for a while, but they still have tons of episodes available. Amazing resource. 5. Muddy Colors. 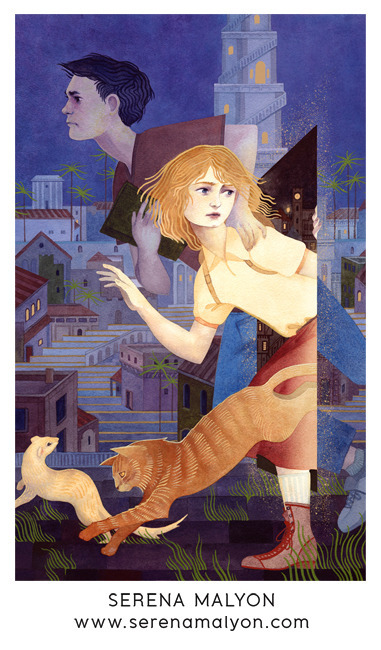 A great blog that often discusses the illustration biz. Ran by some of the best in the industry. 6. Gurney Journey. How do you not learn from James Gurney? His books are essentials as well, but you probably already know that. His blog is a wonderful resource, well worth following. 7. The Illustration Underground. Great podcast, though its only 10 episodes. They cover a lot of info about illustration. I learned a lot from them. 8. One Fantastic Week. Another informative podcast. Lots of great interviews. I hope this post has been helpful somehow. I’m in no way an authority, this is just a summary of what I’ve learned and the resources I’ve collected in the past 3 years. I’ve still got a lot of learning to do. Please know that a career in illustration can take years to get off the ground. Most of the successful illustrators you see out there now had 5+ years of working a second job or being financially supported. There is nothing shameful about having that second job, and don’t be discouraged if your work isn’t being noticed. Just keep growing as an artist and keep trying to find places where your illustration can be used. Be smart with your money, invest in yourself, and stay motivated! Thanks for reading, good luck, and contact me if you have any questions! Hi Serena, I just read your blog entry on tips you gained through your first 3 years freelancing, and found it very compelling and informative. I will share this with my grad students ( I teach Illustration at AAU in San Francisco). As an old school freelancer (Art Center 1975). I find myself often short of answers when asked by graduating students ‘What now?’. My career start up following school back in the day was really a positive experience, and my free lance career remains highly satisfying. I try to communicate to them that the prize of being able to illustrate for your living is well worth the effort of breaking in regardless of any degree of difficulty. But there is no denying that the world has changed, and the difficulties have greatly increased. As with much of our personal lives, avenues of personal approach have been altered, and have been replaced in large part by highly impersonal digital communication and cloud classification. Your example displays that with determination and talent, avenues may still be found and accessed. I will share this post with my students as an example of what they may expect, and as a lesson on the need for talent, self motivation, and self reliance. Art school DOES NOT prepare you for the real world. As an art student, you are striving to be an ‘ARTIST” not a business person and you probably are not interested in any of the “boring” business end of life, which sadly, it turns out, is over 75% of being an artist. In my case I had a new baby and no prospects so I took a job with a company, which I ultimately became the art director of. Now I am retired and actually starting to do my art, but I could not live on it. It is amazing how many artists there are in the US, not to mention in the world, that you are competing with. I have found that making the art is not the problem, the marketing is the problem. You have to do something so unique that an art director, a person who is inundated daily with art, looks at yours and says” WOW call them in!” Big shoes to fill, but it is doable. If you believe, NEVER EVER GIVE UP. It may take like forever but it will happen. Expanding on #4 of you just graduated: pick a style. One thing I have seen work is to pick one style/genre and work it to death until it becomes yours. Become THE expert in that particular genre. It takes time but you can become the go to anytime that particular genre is used. Thanks for this entry! I’m about to graduate this month and this is very helpful in giving me an idea of what to expect and the actions I need to take to kick start a career. Hi Serena! Thank you so much for putting this together. Would you mind if I used some of this in class? Unfortunately our teachers don’t give us much of an insight as to what to expect or how to actually put together a portfolio, so when I found this I was really relieved 🙂 Hopefully I will be able to translate some of the information, if you are okay with that, and hand it to my classmates. Thanks again! Hey! Yes, I’d be thrilled if you did. I actually created it for my old art school’s new grads, I hope it helps your classmates as well! Thank you so much! Here is what I came up with. I translated your content and the contract that Drawn&Drafted provides, and also added a bit of my own content. I called the thing “The Novice Illustrator’s Survival Kit”, and made it avaliable for download. As soon as I get feedback from my classmates I’ll make sure to tell you : ) Thank you for letting me use your words of advice! I down-to-Earth and informative read about pushing on as a starting-out illustrator.